Home | Productions | Concerts | Fabulous At 50! 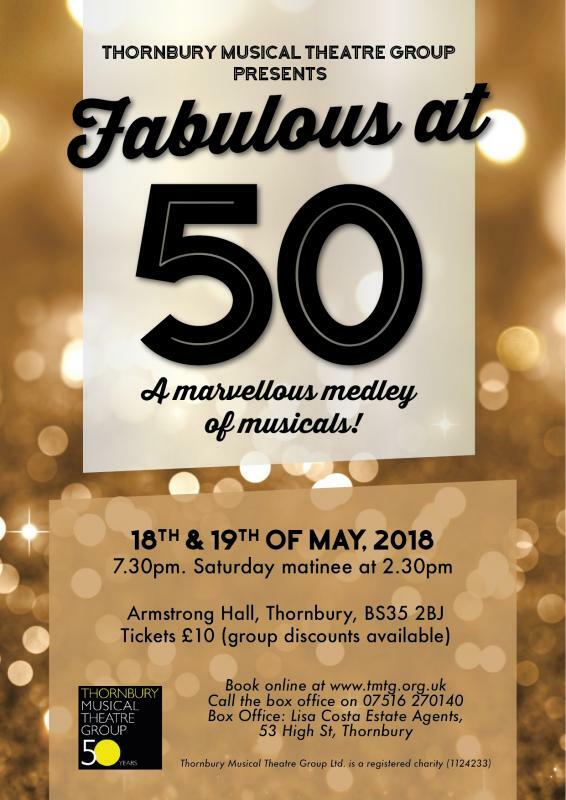 Join us for our Fabulous at 50 concert, a marvellous medley of musical melodies! TMTG will entertain you with some of our showstoppers from concerts, pantomimes and musicals from the last 50 years. Remastered and orchestrated for 2018 you will enjoy a wonderful evenings entertainment. Performing on the 18th May at 7:30pm, and 19th May at 2:30pm and 7:30pm at the Armstrong Hall in Thornbury we would love for you to join us.